Hello readers! We are here today with our usual recipes that pertain to tech. One of my friends got a new mobile number so days ago and he asked: “how can I change my phone number on WhatsApp without losing my contact and conversation list?”. I showed him how to, and I am here to show you too how to change WhatsApp number. In case you’ve bought a new mobile number but saved your old telephone then it is of importance to let WhatsApp and your friends know in regards to the change. Unless you need to go off the radar completely for a while. 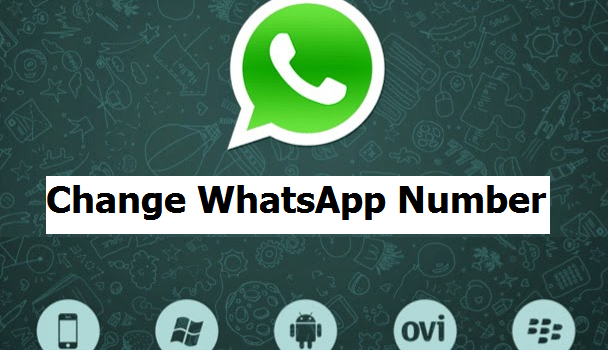 This article will teach you on how you can change your phone number easily on WhatsApp. We are all familiar with WhatsApp Messenger. Download the app to your mobile phone, verify it with your cell phone number, then get busy sending free texts and image messages over Wi-Fi or mobile data. But you could additionally make calls (audio and video) utilizing WhatsApp. Or, at the least, a few of us can. In an event where you’ve shopped around for a better mobile tariff and put a new SIM on your telephone without transferring your old contacts to it, you may find out that individuals are having issues getting in touch to you. This is on the grounds that WhatsApp lists your old phone number rather than your new one, and your buddies will be ready to look into your account only if they keep your old number on their cell phone or have an active conversation with you. 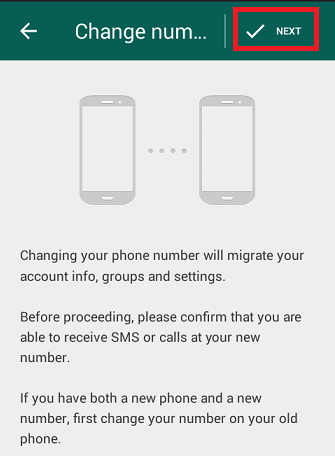 The exchange number feature permits you to change the cellphone no associated along with your WhatsApp account on your same phone. This feature is intended to be used earlier before you verify your new number. 2. Delete the account related together with your old mobile phone no, so that your contacts will no longer see your old cell number in their lists of WhatsApp contacts again. In WhatsApp change number feature, your chat history will continue to be on your cell phone with the brand new mobile number as long as you continue utilizing the same cell phone. Make sure that your new mobile phone number can receive SMS and calls and have an active internet connection. Make certain your old mobile number is currently verified on WhatsApp on your cell phone. You will find what number is established in WhatsApp by navigating to WhatsApp > Menu Button > Settings and tapping on your profile picture. NOTE: If you change your WhatsApp phone number, your contacts are not going to be notified of the change, only individual/participant that share group chats with you will see that you just change your number. For an uninterrupted chatting experience, notify your contacts that your number will be changed before you perform this procedure. 1. Insert the new SIM card with the new number into your gadget. 3. Examine if your old phone number is currently verified. The verified number on WhatsApp can be discovered in WhatsApp via navigating to WhatsApp > Menu Button > Settings and tapping on your profile picture. 4. Go to WhatsApp > Menu Button > Settings > Account > change number. 5. Enter your old phone no in the first field, and enter your new telephone number within the bottom box. Q: Can I change WhatsApp number from local to a foreign number? A: Yes, this is possible, if you are in a new location, make sure you have an active internet connection and repeat the same process of changing your phone number.